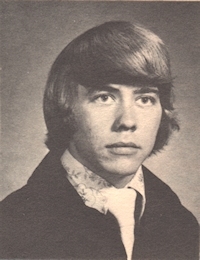 Obituary – Witter, David Morgan « Perry High School Alumni Association, Inc.
David Morgan “Red Baron” Witter, 55, of Perry, Oklahoma was the son of Richard Emmet and Mary Ann Enright Witter. He was born April 29, 1958 in Shawnee, Oklahoma and died Wednesday, July 10, 2013 at his residence in Perry, Oklahoma. He graduated from Perry High School in 1976. David started driving eighteen wheelers when he was 15 and continued to drive them for forty years. His truck driver handle was “Red Baron.” David enjoyed riding his Harley Davidson motorcycle as well as hunting, fishing and shooting. He enjoyed tinkering with things and could fix just about anything, but above all he loved spending time with his grandkids and his family. 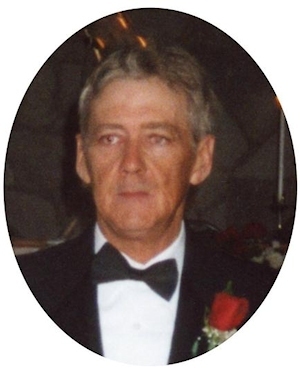 Memorial services will be 10:00 a.m., Saturday, July 20, 2013 at the BrownDugger Funeral Home Chapel in Perry, Oklahoma. Rev. Roger Dunn will officiate. Interment will be at Grace Hill Cemetery, Perry, Oklahoma. Services are under the direction of BrownDugger Funeral Home. Memorials may be made to the charity of the donors choice in care of BrownDugger Funeral Home, 1010 N. 7th Street, Perry, Oklahoma 73077. David is survived by his son, Anthony Witter and his wife, Amy of Perry, Oklahoma daughters, Meliah Boyd and her husband, Coby of Lucien, Oklahoma, LaChelle OLaughlin and her husband, Shawn of Billings, Oklahoma sister, Debbie Knight and her husband, John of Perry, Oklahoma one brother, Paul Enright and his wife, Nancy of Amber, Oklahoma ten grandchildren, Aaron Moore of Billings, Oklahoma, Wyatt Boyd and Kohl Witter both of Lucien, Oklahoma, Taylor Witter of Perry, Oklahoma, Rylee Boyd of Lucien, Oklahoma, Riely Witter of Billings, Oklahoma, Zain Wilson of Lucien, Oklahoma, Heston Witter of Perry, Oklahoma, Kelbi Phillips of Billings, Oklahoma and Rhyker Wilson of Lucien, Oklahoma many nieces, nephews and friends. He was preceded in death by his parents, Richard and Mary Witter.